Pastor Jason is a local guy! He was born and raised in Carlyle, IL. His family has lived in Carlyle and the surrounding areas for many generations. Jason accepted God's call to ministry at a very young age. He attended Indiana Bible College where he met his wife, Amy. 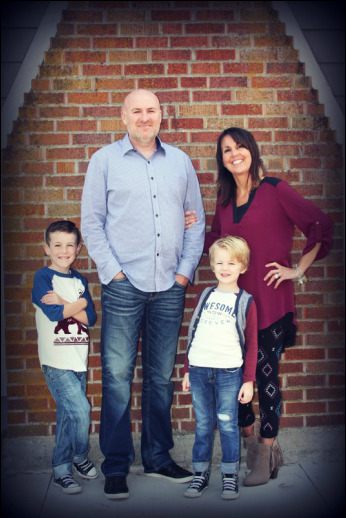 After college, Pastor Jason accepted the position as Youth Pastor in Rockport Indiana, a tiny town in where Amy grew up. Four long years later, he and Amy finally tied the knot! While serving with her husband as youth pastor, Amy also worked as lead Music Director. ﻿﻿She now works as Music and Worship Leader at Life Church. In 2002 they felt called to move to Carlyle, IL as Lead Pastor of Life Church. Since then, they have been given the distinct honor and privilege of raising two beautiful, talented and funny boys. Ryan was born and raised in Centralia, IL. At age sixteen he moved to Rockport, IN. There he served in the local church. He also worked alongside of his brother, Pastor Jason, to build a successful business. Pastor Ryan said yes when asked to move with Pastor Jason and Amy serve at Life Church as Youth Pastor. After moving He and his now wife, Kacie, were re-united after many years of living in different states. They had known each other and attended the same local church since they were small babies. Kacie was born and raised in Centralia, Il. After finishing nursing school in 2008 they married. Since then they have become homeowners and first time parents to two beautiful baby girls. Pastor Ryan serves as assistant Pastor and Team Captain of our Next Steps team. Kacie serves with Ryan in Next Steps and on the Tech team for the Weekend Worship Experiance.